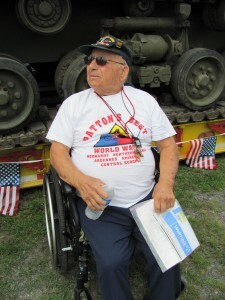 August 6, 2011: Always There, the area’s leading agency for home health, personal care, and adult daycare (www.alwaystherehomecare.org), held its second annual car and motorcycle show today. One of the highlights was a Sherman Tank from World War II which held a position of attention on Ulster Avenue. 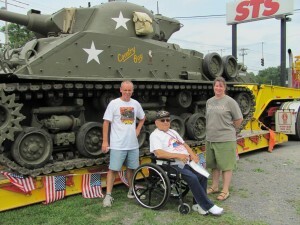 One of only 20 tanks from World War II extant in the United States today, this Sherman Tank is owned by Bud Walker, a collector of World War II memorabilia from Gardiner, NY. The reason for the scarcity is that we sold or jettisoned our armaments at the end of the war, rather than have the expense of bringing them back in country. This tank was sold to the French government, then Israel, before receiving a Presidential pardon to be allowed to be shipped back to the states. Joe Vanacore, a 91 year old veteran of World War II and a resident of The Birches at Chambers, again held forth to provide living history to the attendees at the event. 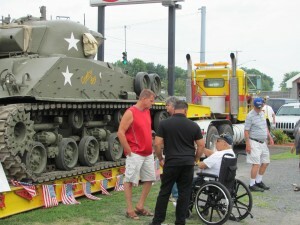 Many who came to listen to Joe had fathers or grandfathers in the European theater, some assigned to tanks. A common observation was the relative small size of the quarters for the men who rode in the tanks. A picture of Joe Vanacore in the book “The Liberators” from the time shows a scrawny kid, maybe 110 pounds. Joe quips that he saw a lot of Europe, but most of it through his gun sight. Joe came prepared for the day. He sported his Patton’s Best T- shirt (he was a member of General George Patton’s tank corps) and his cap bore his medals. He brought along pictures from the War. Joe’s tank in the war had been specially outfitted with a dozer blade, like a giant snow plow, that was mounted to the front of his tank. Originally the dozer was designed to plow through the mounds of earth that the troops encountered during landings, less the tanks rise up and expose their underbelly’s which were more vulnerable to attack. But Joe found himself using the dozer blade in other applications as the war progressed. He spoke of ramming through the heavy wooden doors of what they thought was a Prisoner of War camp holding American soldiers in Germany. The camp appeared abandoned, and most of his unit went after the German soldiers who had moved out ahead of them. But Joe stayed at the camp and blasted through. In his gun sight he saw what appeared to be a large pile of logs. As he got closer, he realized it wasn’t a pile of logs, they were bodies. His unit was at a death camp, not a POW camp. The book “The Liberators: America’s Witnesses to the Holocaust” by Michael Hirsch, published in 2010, tells of Joe’s experiences along with others who liberated the concentration camps. Joe Vanacore spent three hours at the Always There event, talking to strangers about his experiences. Many reported goose bumps, some had tears in their eyes. It is important that a Veteran like Joe Vanacore be able to tell his or her story of the War as there are so few left to provide this living history. He clocked some 3,000 miles in his tank, yet when he returned stateside it wasn’t a time to tell of the stories. Not then. Many who listened to Joe said their fathers or grandfathers never really spoke of the War. Fortunately, Joe has lived long enough that he can speak of it today. We appreciate him giving of his time to tell others of what he witnessed. Chambers Court resident William McDonough’s 100th birthday won’t be until November 23, 2011, but the celebration has already begun. 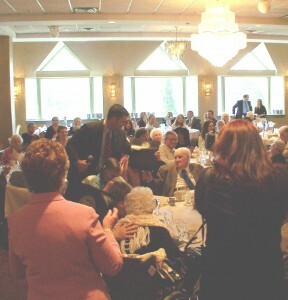 Bill was honored at the Ulster County Centenarian luncheon organized by the Office for the Aging on Friday, May 6th, 2011, held at the Hillside Manor, sponsored in part by Birchez Associates. County Executive Mike Hein presented Bill and 16 other centenarians with a proclamation; each birthday “boy or girl” also received certificates from State Senator John Bonacic and Assemblyman Kevin Cahill. The photo to the left shows Mike Hein handing Bill his own proclamation. Ann Cardinale, head of Ulster County’s Office for the Aging, remarked on the growing number of centenarians country wide and that this year’s recognition represented the largest class ever. The oldest recognized this year is 106 years young. 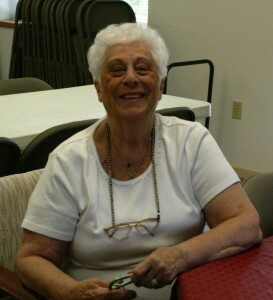 Ms. Cardinale also presented some of the qualities that lead to such longevity including a positive attitude. This certainly characterizes Bill McDonough, a gentleman who continues to live on his own with the assistance of his loyal caretaker Dorothea Schwenk (also a Chambers Court resident and pictured with Bill in the photo to the left). Bill still votes in person; although he said maybe this year he’d consider an absentee ballot he’d prefer to go to the polls. Birchez Associates salutes Bill and looks forward to celebrating with him throughout his 100th year. Chambers Court, the first of Birchez Associates affordable senior communities, opened in the town of Ulster in 2004/. As with all of the company’s communities, it is designed to help seniors live successful, independent lives of quality as they age in place. Adjacent to the company’s latest community, The Birches at Chambers, Chambers Court residents now enjoy all the amenities of the latest community, including a fitness studio with trainer who specializes in senior exercise, a media room — a small state of the art theater, library/game room, crafts room and more, all at no cost to the residents. 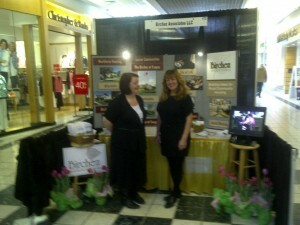 This year’s Lions’ Club Expo at the Hudson Valley Mall featured a new participant: Birchez Associates. Shown to the left with our booth are Teri Sola, Property Management Compliance, and Cheryl Meehan, Property Manager at both The Birches at Esopus and The Birches at Saugerties. Throughout the two day event we were also represented by Judy Fitzpatrick, Senior Property Manager, Paul Watzka, Director of Community Affairs, and K.J. McIntyre, Director of Marketing. Last but certainly not least, the one and only Alice Tipp, Senior Advocate for The Birches Communities, held court for several hours on Sunday. After her 30 years in the legislature and over five years with us, Alice is known far and wide. One couple who stopped by, married for over 50 years seemed to take almost more pride in their voting record for Alice from the beginning of her career in public service. One unexpected treat for the staff was the number of residents who stopped by, frequently showing off photos or stopping to point out parts of the videos being shown to their friends and family. We hope that many of our visitors will in fact submit applications so that we might add them to the wait lists. Sooner you are on the list, the sooner a spot might open with your name on it! If you didn’t make it to the mall, stop by one of our communities (call first to assure a tour and application will be ready for you). Just click on the communities tab or one of the community photos on the home page for contact information. Ulster Park 10/19/2010 – For Rie Schreiver, Breast Cancer Awareness Month has a special significance — because for the last 15 years she’s been able to participate as a breast cancer survivor. Rie and her husband Al have made cancer — specifically breast cancer — their charity. They’ve participated in Relays for Life, Strides, and a variety of American Cancer fundraisers over the years. So when The Birches at Esopus Residents’ Club president Barbara Conklin asked if anyone wanted to organize something for Breast Cancer Awareness Month, Rie and Al stepped up to the plate. The cause became a joint effort with the Crafts Club. Hand made cards, adorned with fabric, pearls, and many, many pink ribbons were enscribed with positive messages with a Hope/Believe/Cure theme. These cards will be donated to the American Cancer Society for those with or recovering from cancer. The Crafts Club went a step further creating glass coasters with a white grid and pink yarn ribbon. 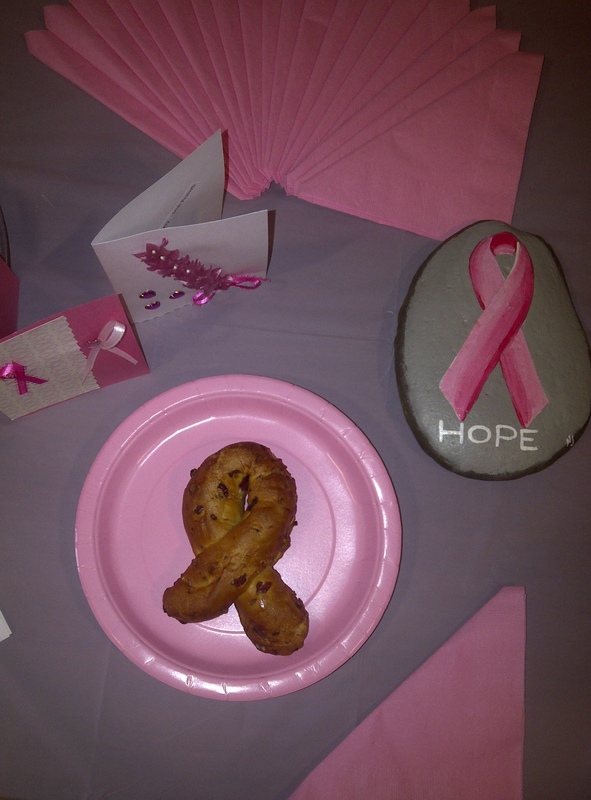 Today it all came together with a special bagels brunch for breast cancer awareness held in the Community Room at The Birches of Esopus. Rie selected Panera “pink ribbon” bagels because not only were they shaped in the classic pink ribbon twist, but because she knew that Panera’s donates $0.33 of each of these bagels sold during October to the cause. Residents enjoyed a relaxed — and very pink — event, all for a very good cause. And while fundraising wasn’t the primary aim of the event, Rie and Al Schreiver are very pleased with the check they will present to the American Cancer Society on behalf of The Birches at Esopus residents. 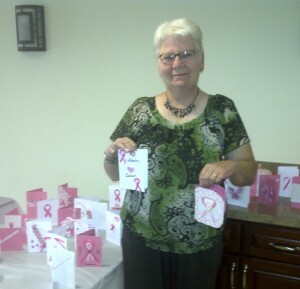 photos: top right is Rie Schreiver shows off some of the handmade cards that will be donated to the American Cancer Society. 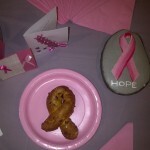 Lower left is one of the Panera “pink ribbon” bagels. Though she’s originally from Brooklyn, Emanuela Mauro (Ela to her friends), made her way up to Saugerties back in the early 1950s, when she moved with her husband, Mike, back to his hometown. After raising her kids and retiring from a job in sales, Emanuela and Mike moved to Florida, where they lived for the next 20 or so years. But when her husband passed away from a stroke in 2000, Emanuela knew that it was time to come home. “My kids are here, so if something happened to me, I didn’t want them worrying, like they did when my husband had his stroke,” she says. “They had to jump on a plane and out they came. I had to consider them too, so I came back. After living in an apartment building on Simmons Street in Saugerties, Emanuela decided that she was tired of the landlord’s lax attitude toward taking care of problems. 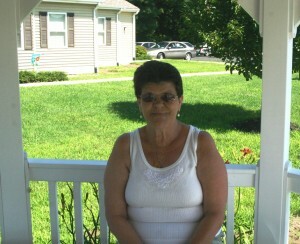 Part of what makes living in The Birches at Saugerties good for Emanuela is that she can afford it on her fixed income. “We didn’t get a raise in social security, so we don’t have any extra income,” she says. Fortunately, there are amenities in place at The Birches at Saugerties — like Senior Advocate Alice Tipp — that help residents like Emanuela live well without breaking the bank. For Aleta Elsworth, a nurse’s aide for 27 years who was born and raised in Kingston, there’s simply no place like home. Aleta has a big family. 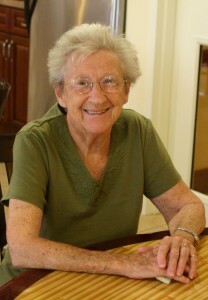 Between her and her husband, Clarence, there are 10 kids (three of her own, seven step-children), and she has two younger (twin) sisters who live in the same community as her at Chambers Court in the Town of Ulster. “A lot of people think we’re triplets, but I’m the oldest,” says Aleta of her sisters. “They’re twins. They’re funny, and a lot of people here get the biggest kick out of them, because they bicker at each other,” she laughs. Things weren’t always so easy for Aleta and her sisters, though. Since moving to Chambers Court, Aleta has enjoyed all of what it and its neighboring community, The Birches at Chambers, have to offer. 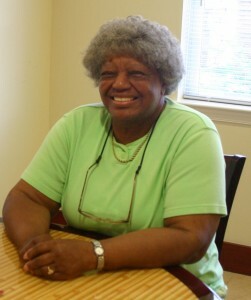 She and Clarence are frequent visitors to the fitness studio, and Aleta makes routine appearances at the regularly held community tea parties. “And I know they have the computer lab — I really don’t know anything about computers, but I want to learn. So I’m interested in that,” she adds. But it’s not just the fun stuff that makes Aleta love her home: the convenience of having a handicapped accessible apartment has truly improved her quality of life, as she’s sometimes unable to get around without a wheelchair. Aleta is also a strong supporter of Alice Tipp, the Birches Communities’ official Senior Advocate. Without her, says Aleta, she would have been lost. And Alice Tipp isn’t the only member of the Birchez staff that Aleta appreciates. When it comes to seeing wonderful places, you’d be hard-pressed to find someone more knowledgeable in that department than Mary Jackson, a Manhattan-native who moved up to High Falls in the 1960s to work as an elementary school teacher. In fact, Mary’s travels have a bit of a reputation among her friends for the trouble she tends to find. Mary’s discriminating taste in construction is apparent; and as such, it’s especially telling when she discusses how she feels about The Birches at Esopus, her home for the last year. It’s not difficult for Mary to enumerate the many reasons she’s a fan of her home. Like when she lists the places she’s visited, the list of things she likes about The Birches at Esopus comes easy and without hesitation. But that’s not all—the building’s fitness studio is one of Mary’s favorite features as well. Mary also belongs to the community’s Residents’ Club, by whom she’s been asked to teach and lead crafts sessions. When it comes to sewing, Indiana-native Bobby Taylor has plenty of experience. Having once run her own handmade doll company — called, appropriately, Taylor Made — these days Bobby is lending her skills to the Residents’ Club at The Birches at Esopus, where she’s lived for the past year. 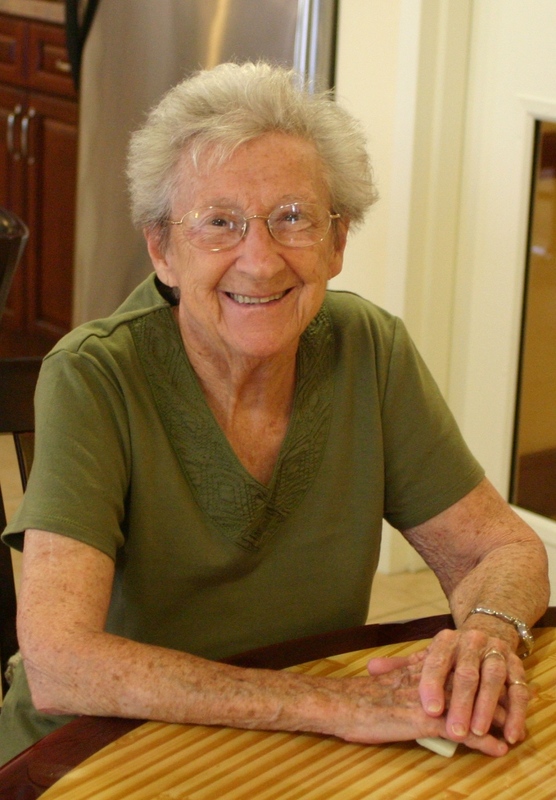 In addition to serving as the club’s treasurer, she creates table covers for the community room where the club meets, and her current project is to sew grocery tote bags for her fellow residents. However, it’s not just her sewing skills that she brings to bear in the club. Her position as treasurer is well deserved: “I have the background for it. I spent forty years working with big budgets and money and stuff.” Bobby got her start with budgets when she got her first big job, working for the Sansabelt Slacks Company. 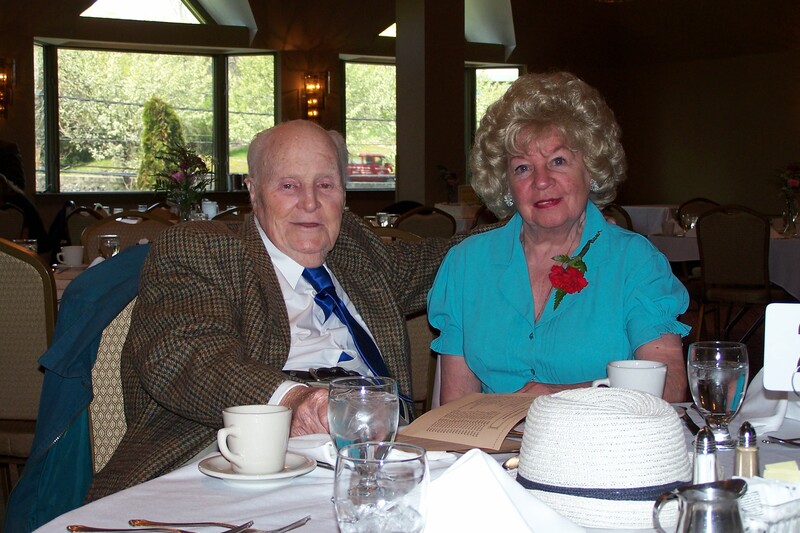 While sewing and keeping track of the residents’ club’s finances, Bobby has taken note of the benefits her home in The Birches at Esopus, which she shares with her husband George and their daughter, Nikki, who acts as their caretaker. It was around the time she moved back from Florida that “the depression” settled onto Gerry Mazur. Having moved there after the death of her husband fourteen years ago, she met and wed her second husband. Sadly, he passed away as well and Gerry decided to move back up to the Hudson Valley. Gerry sank deeper into depression and she found it easy to isolate in the duplex apartment she rented. Finally, the family became involved and one of her daughters told her about The Birches at Esopus, where she’s lived for the last year and a half. That’s when things started to turn around. The key, it seems, is not just being active, but being social. 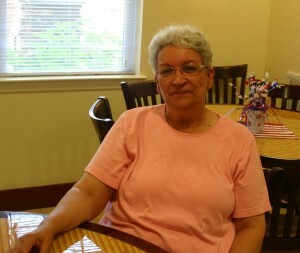 Being able to talk to other people has allowed Gerry to find happiness at The Birches at Esopus. “My next door neighbors on both sides of me are very nice,” she says. She does crafts with the Residents’ Club, plays bingo on Tuesdays and Fridays, and makes sure to catch every one of the movies on show in the building’s media room. “In between, even when you walk to the laundry room, you meet people, talk to them,” she says. And Gerry gets out to the patio to visit with new friends. In July 2010, Rochester-native Marie Shultis finished her yearlong stint as the president of the Residents’ Club at The Birches at Esopus. Shultis worked as a team with vice president Ruth Rosu, and together the pair was able to get the first year of the building’s residents’ club off to a rousing start. Having been founded in the summer of 2009, the club can now count over half of The Birches at Esopus’s population as members, having reached their fiftieth member in June 2010. Throughout the year, the club has hosted events to allow the community’s residents to get to know each other and participate in fun activities. The first such event was participating in the Town of Esopus Fall Festival. Marie says that the sale was a “huge success,” allowing residents to sell their items, as well as the sale of baked goods and items that were donated to the club for sale. In fact, Marie says that the baked goods table was an even hotter seller than the tables without food. “It was a winner—it was really fantastic,” she says. The money raised went back into the club’s coffers, which, in addition to the $2 monthly dues paid by members, was able to fund other events and get-togethers for the club’s members. From pot lucks and Wintertime Comfort Food dinners, as well as their subsequent Leftover Lunches, Marie says that the club has tried to host at least one event a month. One particularly memorable event for Marie concerned the local volunteer firefighters who make routine visits to The Birches at Esopus. “The firemen are always visiting us, because, unfortunately, there are escapades like burnt toast and things like that occurring,” says Marie. “ Ruth and I felt it would be nice if we did something for the firemen, so we had a dinner especially for the firemen, and they could bring their wives – many of whom are members of the auxiliary – if they wished. “They enjoyed themselves, and they said, ‘you know, no one ever does anything like this for us,’ and it made us feel good to know that we had done that for them. So we have a link there, as well as a link with the town with the yard sale.” Marie says she hopes that the club will keep hosting the dinner annually, though the decision won’t be up to her when she and Ruth pass the batons to the new officers. 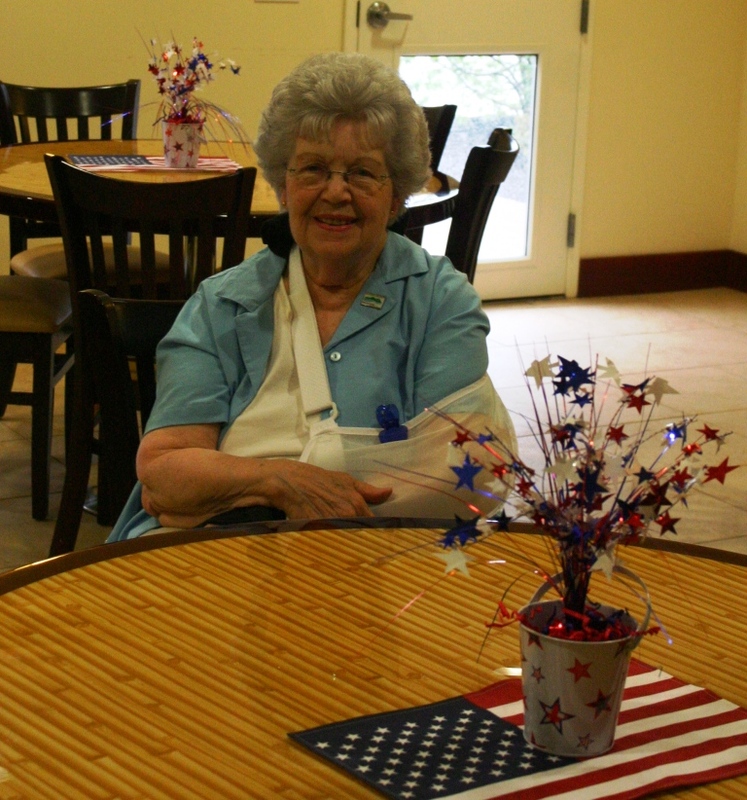 Besides simply hosting these monthly events, the Residents’ Club is responsible for the twice-weekly Bingo games in the building’s community room, as well as the holiday-themed decorations that fill the community room each month, a result that came about with a combination of “Ruth’s creativity and the dollar store,” says Marie with a laugh. And Marie is adamant about the fact that the club’s initiatives and strides weren’t her achievements alone—rather, she and Ruth Rosu accomplished it all together. For profiles and stories about and by our residents, visit the Our Stories tab of each community.